So, on that eighth day, the Creator invented the electric guitar. I love guitar solos. And top ten lists. So what better way to end the week than with a top ten list of guitar solos? I can identify with singers because I love words and lyrics. And they’re usually the cutest one in the band. I can memorize lyrics and sing a tune, but I can’t make one up. I’m more like a parrot and not really creative with a melody. Even when I was playing the piano, I could only give back the melody as I learned it from sheet music. Which brings me to the conclusion that the singers and the lyrics are the mind of the song. But the guitarist is the heart and the soul. I often listen to instrumentals when I’m writing. If I’m trying to think in words, lyrics get in the way. Guitar solos are brainstorming. Or speed on the autobahn, shifting gears and changing lanes. Or rain pounding on the window or snow sliding off the roof. I could expand my top ten list to maybe twenty or fifty. If I was talking about my favorite songs of all time I would. But I will only allow myself a top ten list of guitar solos this weekend. Otherwise I would spend all day searching my musical archives. My choices are in no particular order of preference, because I like them all the same. And there are, of course, many more but these come to mind first. 1e. Little Wing—from Sting’s band, don’t know who the guitarist is. 1k. 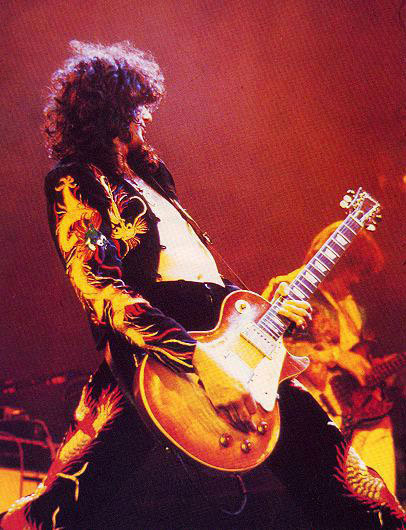 Anything played by Jimmy Page. I only put Jimmy Page last for effect. He’s my Number One Guitar Player, which opens up new possibilities for other top ten lists! This entry was posted in Guitars, Music, Writing and tagged #electricguitar, Music, Writing on October 22, 2016 by lauralibricz.